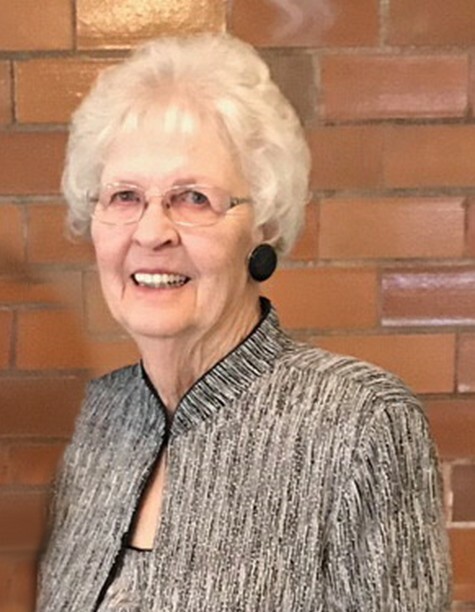 Donna Mae Davis, 78, of Onawa, Iowa, passed away on Thursday, March 7, 2019, at Elmwood Care Centre in Onawa. A funeral mass will be 10:30 A.M. Monday, March 11, 2019, at St. John’s Catholic Church in Onawa, with Father Michael Erpelding officiating. Burial will follow in Center Cemetery near Castana, Iowa. Visitation will be 5:00 – 8:00 P.M. Sunday, March 10, 2019, with a scriptural wake service at 7:00 P.M., NOW AT ST. JOHN’S CATHOLIC CHURCH in Onawa. Funeral services are under the direction of Rush Family Care Service in Onawa. Donna Mae Davis was born on February 12, 1941, in rural Castana, Iowa, to Merlin and Helen (Warren) Davis. She contracted polio in 1952, and was thereafter confined to a wheelchair. She graduated from Castana High School in 1959, and later took several college classes at night through Western Iowa Tech Community College. She moved into Castana with her parents in 1973, and was the city treasurer for twenty-three years. She was the Castana news correspondent for the local weekly newspapers for thirty-nine years. Donna was an active member of the Castana community, having been a charter member of the GFWC Junior 76’ers, a past member of the Castana Ladies Aid, Grimsley-Thayer American Legion Post #502, Centennial Club, as well as the Onawa Woman’s Club, Denison Repeater Association, Boyer Valley Amateur Radio Club, and the Timber Ridge 4-Wheel Drive Club. She also served on the county committee that successfully campaigned for the passage of the first local option sales tax in Monona County. She has resided at Elmwood Care Centre in Onawa since 1996, serving on the Resident Council, the Marketing Committee, and as editor of the facility newsletter for seven years. Donna enjoyed several hobbies including amateur (ham) radio, cross stitching, crocheting, reading, playing cards, puzzles, traveling, and keeping in touch with friends via e-mail on the computer. Donna was baptized into the Castana United Church of Christ and was a member for many years. In 1995, she converted to Catholicism and was a member of St. Mary’s Catholic Church in Mapleton. After she moved to Onawa, she regularly attended St. John’s Catholic Church in Onawa, and assisted in leading the Rosary once a week at Elmwood. She had great faith in the Holy Trinity from which she drew her strength. Survivors include the man she loved, Robert Rauterkus of Mapleton, IA; one brother, Ronald and his wife Doris Davis of Onawa, IA; one sister, Carol and her husband Rick Deeds of Correctionville, IA; one sister-in-law, Esther Stick of Marion, IA; and several nieces, nephews, other relatives, and friends. She was preceded in death by her parents, Merlin and Helen (Warren) Davis; one brother, Howard Davis; and two sisters, Garnet Miller and Darlyne Leisinger. 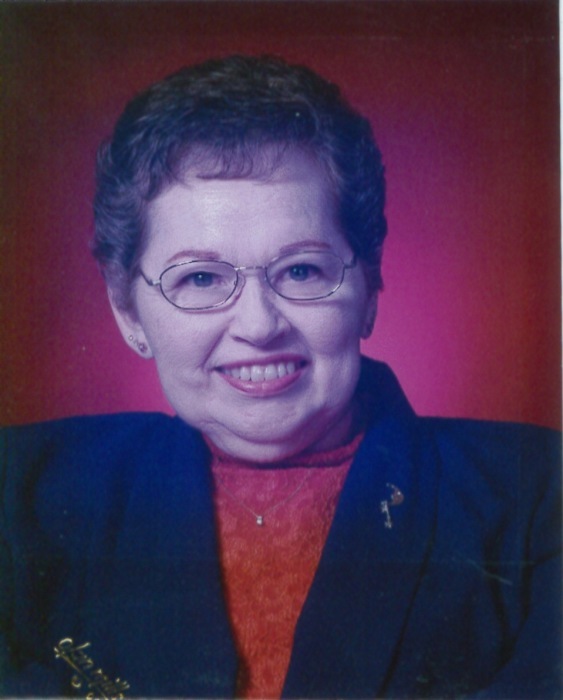 Mary Joanne Heisterkamp, 81, of Blencoe, Iowa passed away Wednesday, February 13, 2019 at her residence. A funeral mass will be 10:30 A.M. Monday, February 18, 2019 at St. Bernard Catholic Church in Blencoe, Iowa with Father Michael Erpelding, Celebrant officiating. Burial will be in Graceland Cemetery, Blencoe, Iowa. Visitation will be 5:00 to 8:00 P.M. Sunday, February 17, 2019 with a Scriptural Wake Service at 7:00 P.M. followed by the Rosary at the Rush Family Chapel in Onawa, Iowa. Arrangements are under the direction of Rush Family Care Service, Onawa, Iowa. Mary Joanne was born September 9, 1937 near Blencoe, Iowa the daughter of Joseph “Tone” Anthony and Mary Marjorie “Gahm” Molle. She grew up in the Blencoe area where she graduated from Blencoe High School in 1955. Joanne loved to play basketball and was nicknamed “Skip”. Joanne and Roger J. Heisterkamp were united in marriage on December 28, 1955 in Blencoe, Iowa. The couple made their home and raised their seven children near Blencoe, where they were lifelong farmers. Joanne was a member of St. Bernard Catholic Church and Rosary Society in Blencoe, Iowa. She was devoted to the Rosary, the Divine Mercy Chaplet, and Our Lady’s Blue Army. She was always very active in community events. She was named an honorary member of the VFW after helping out at their many picnics. She was a past 4-H Leader. Joanne was named the Pickle City Queen during the Blencoe Centennial celebrations. She served as the Treasurer for the Monona County Democratic Party for many years. She was famous for her baked beans at family reunions and other social events. Joanne was very sentimental and always had a smile on her face willing to help anyone at anytime. Joanne enjoyed gardening, sewing, knitting, crocheting, welding, carpentry, deer hunting, camping, fishing, and traveling to visit family. Joanne loved doing many things with her family, and she also loved being on the farm and farming. She was very proud that the combine she drove was also serviced and repaired by herself with her own tool box. Joanne and Roger worked side by side in everything that they did on the farm and for their family. Survivors include her children: Rhonda (Wayne) MacClure of Hornick, IA, Roland Heisterkamp of Onawa, IA, Barbara Heisterkamp (Dr. Frederick Petty) of Winter Springs, FL, Stanley Heisterkamp of Omaha, NE, John Heisterkamp of Golden Valley, MN, Rodney Heisterkamp, and Douglas (Jodi) Heisterkamp of Cleveland, OK; grandchildren, Jeremy (Heather) MacClure of Sergeant Bluff, IA, Rachel (Damon) Eike of Ames, IA, Mary (Dejay) Langel of Yankton, SD, Joseph “Joe” Heisterkamp of Onawa, IA, William “Bill” Heisterkamp of Onawa, IA, Liann Heisterkamp of Iowa City, IA, and Alex Petty of Winter Springs, FL; great grandchildren, Levi, Noah, and Andrew MacClure, and Isabel Eike; sister, Judy (Thomas) Kane of Jupiter, FL; in-laws, Yvonne Hanneman of Council Bluffs, IA, Ardith Olson of Onawa, IA, Mavis Ryan of Blencoe, IA, Gayle Keele of Scottsdale, AZ, Franklin (Wanda) Heisterkamp of Blencoe, IA, Ronald (Geraldine) Heisterkamp of Mondamin, IA; sister-in-law, Patricia Heisterkamp of Onawa, IA; and many nieces and nephews, cousins, other relatives, and friends. She was preceded in death by her husband, Roger J. Heisterkamp on March 31, 2004; her parents, Joseph “Tone” and Marjorie “Marge” Molle; brother, Chuck Molle; in-laws, Frank (Martha) Heisterkamp, Verla (Maurice) Benjamin, Delbert (Yvonne) Heisterkamp, Glenn Heisterkamp, Quentin Hanneman, Dennis Keele, James Olson, and Dwayne Ryan; and several nieces and nephews. on September 19th @ 6:45 pm until 8:00pm. Please register you child/children for this upcoming year, even if they have been here previously. As per diocesan policy, every student needs to be registered every year. We look forward to the start of this catechetical year and appreciate the help and dedication of our parents and our teachers. Registration forms are available in the Parish center and on this website, under the Faith Formation tab. Please try to register your child prior to the 19th, but you can register on the 19th. Registration forms can be dropped off at the office, deposited in the collection basket or mailed to Colleen @ 1009 13th St, Onawa, IA 51040.